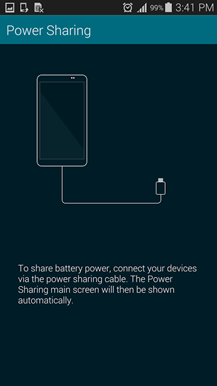 The cable only works with some of the latest Samsung Android-powered devices: the Galaxy S5, Galaxy Note 4, Galaxy Avant, Galaxy Tab S 10.5 and 8.4, and the new Galaxy Alpha. Users will have to download the shiny new Power Sharing app, which shows the remaining charge on your primary device. 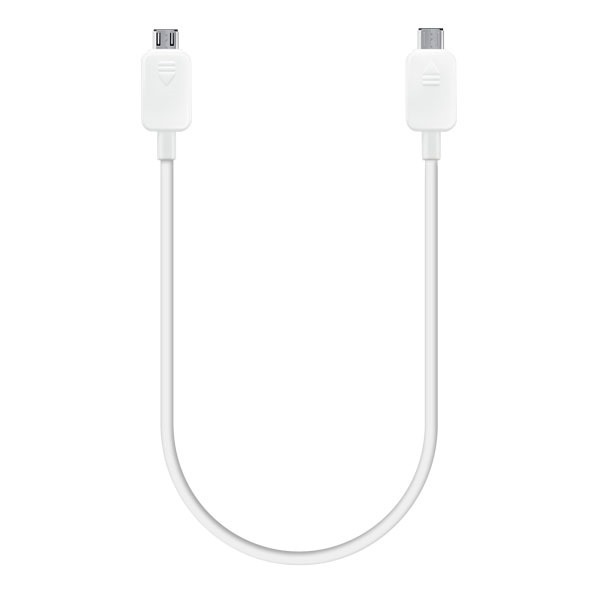 Any gadget that accepts an electric charge via MicroUSB should work with the cable, including other phones or tablets, though of course charge capacity and time will be limited by the "host" phone or tablet. Samsung isn't the first manufacturer to try this, though they're certainly the biggest. Back at CES Huawei showed off the Ascend Mate II, which also has the capability to charge other devices with its huge 4050mAh battery. 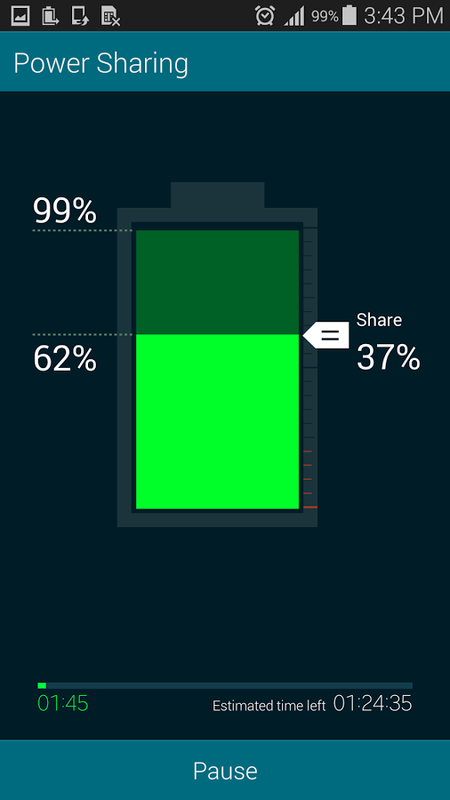 It's clear that Samsung has smartwatches in mind for this feature, though I suppose you could use it to charge everything from a Bluetooth game controller to another external battery pack, if the fancy took you that way. The real question is, would buying and carrying this cable be more practical than bringing along a separate battery in the first place? 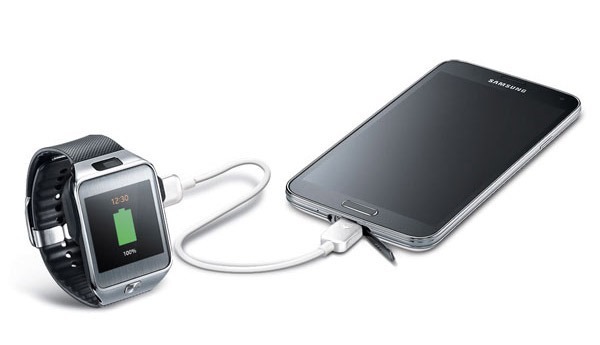 After all, you can get a pretty big one for $20, and using this bump charging technique is only going to "steal" charge from your Samsung phone or tablet. Also consider the inherent loss of efficiency when sending and storing electricity in lithium ion and polymer batteries. 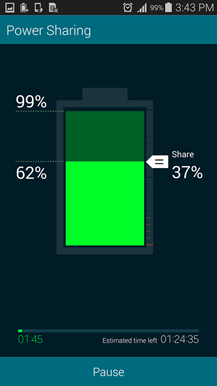 Sending 300mAh to your watch will "cost" you at least 360mAh from your phone. 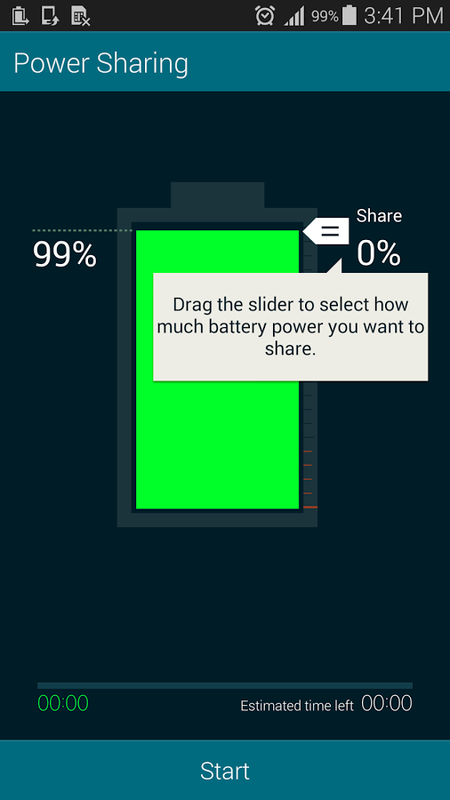 The Power Sharing app will at least let you limit how much juice you send to the secondary device. 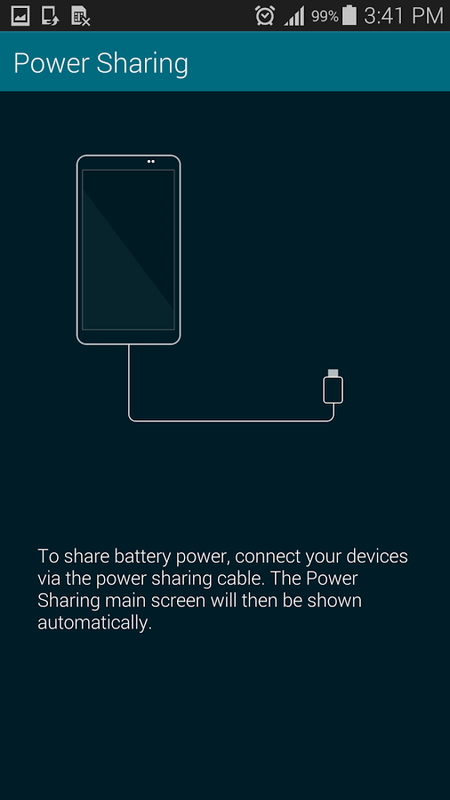 If that doesn't deter you, the Power Sharing Cable is on sale now at Samsung's online store, and the app is available in the Play Store. You might start seeing the cable at other retailers as well.